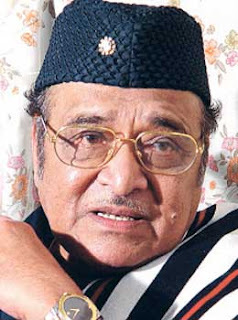 GUWAHATI, Sept 7 – Around 5,000 people from different walks of life will render in unison Dr Bhupen Hazarika’s timeless number Manuhe manuhor babe at the Sarusajai Stadium tomorrow, as the State braces to give a fitting tribute to the music maestro on his birthday. This will be the maestro’s first birthday after his demise in November last year. Sadiya in Tinsukia district – the birthplace of Dr Hazarika and the easternmost tip of the State – will host the central birthday function. City-based event management group, J Creations, is organizing the musical evening at Sarusajai, while many other organizations including the All Assam Students’ Union (AASU) are also celebrating the occasion in the city as also elsewhere. “We expect some 5,000 people from across the State to sing Manuhe manuhar babe in unison at Sarusajai tomorrow. It is a homage to the singing legend, and also an attempt to use the universal appeal of his songs to usher in peace and harmony in the testing times faced by the State today,” the organizers said. A host of luminaries from the State’s musical arena will add to the grandeur of the musical evening. The AASU will observe the evening titled ‘Uddipana’ at Dighalipukhuripar before the statue of the singer from 6 pm. The best singers from one college in each of the districts of Assam, and the best singers of the universities, will render evergreen numbers of Dr Hazarika at the function. Cultural group Jajabor will be holding another musical evening at the Swahid Udyan at Chandmari before the statue of folk maestro Pratima Pandey who had a close association with Dr Hazarika. 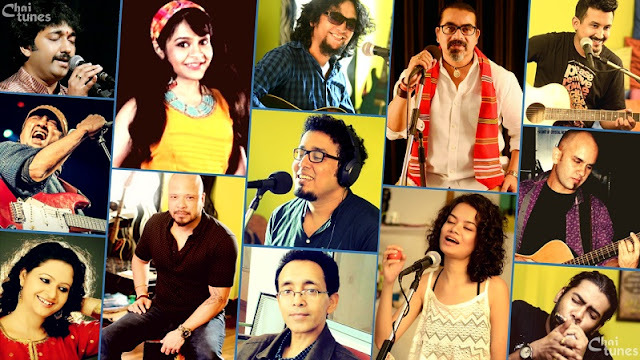 Several prominent singers will render a wide array of songs – including many rare gems — from the vast repertoire of songs of both Dr Hazarika and Pratima Pandey. The Gauhati Commerce College which begins its golden jubilee celebrations tomorrow has dedicated the first day’s programme to Dr Hazarika.